In French it's called mis en place and refers also to "putting things in place" for cooking. Everything works more smoothly when one is well-prepared. This is the way we start all of our recipes. 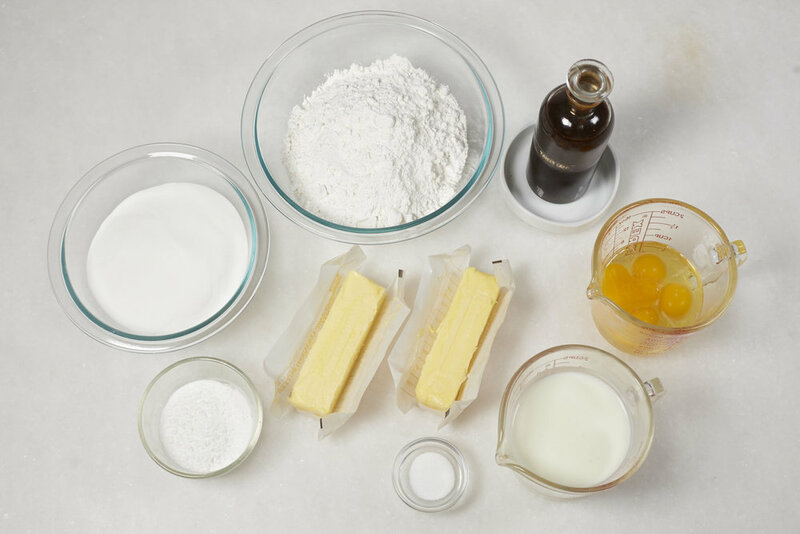 In our new book, Rose’s Baking Basics, we start each recipe with a mis en place if needed, which is reflected in the Ingredients Chart as well. Virtually all recipes will list the ingredients in the order which the author will incorporate an ingredient into the recipe. So butter, for example, will many times be listed towards the middle or end of the list. If you forget to see that it needs to be softened or clarified you could be in for a unwanted surprise. Listing it as a mis en place ingredient, it will be one of the first ingredients on the Ingredients Chart for you to prep ahead. With cakes, if key ingredients aren't at the proper temperature, it will adversely effect the texture of the baked cake. Combining cocoa and boiling water if used be sure to cover the mixture tightly with plastic wrap so that there is no evaporation and allow it to cool until it is no longer warm to the touch.